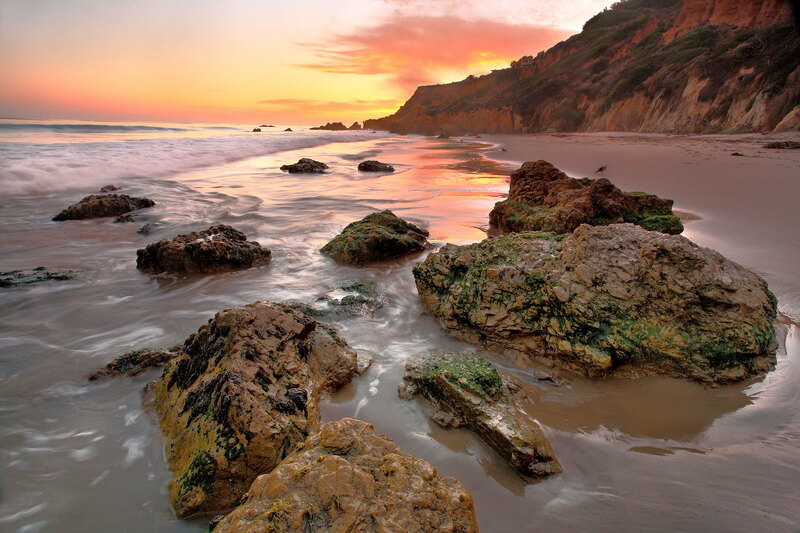 Breathtaking beaches, hiking trails to waterfalls, hidden vineyards and oceanfront restaurants—L.A. 's star-studded beach town is much more than just a surfer's paradise. Hence why many an Angeleno make the trek through traffic-ridden PCH (that's saying a lot) for a sun-kissed day trip in dreamy Malibu. 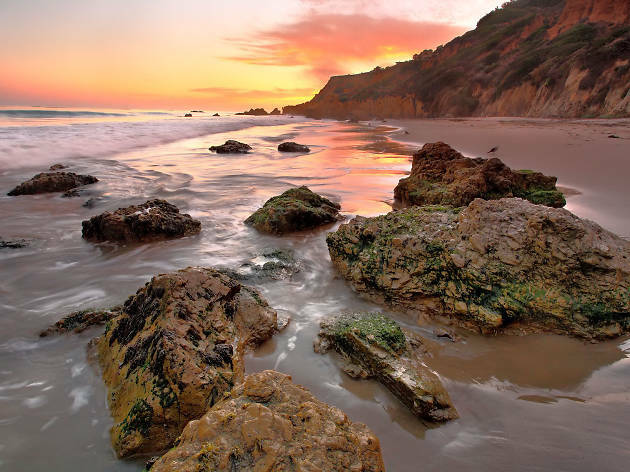 The affluent beach town—a place that many Hollywood stars call home—stretches for just 21 miles of coastline, which explains why it isn't exactly brimming with hotel options (no doubt, a triumph for Malibu locals who are trying to preserve the secluded, beach vibe). But lucky for you, there are enough lodgings to satisfy every price point. 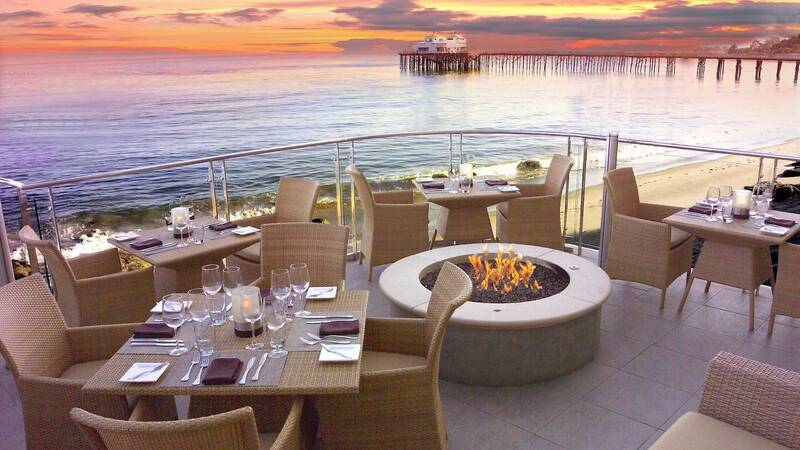 The next time your looking for an overnight stay, check out our guide to these best Malibu hotels. Located on the picturesque Carbon Beach, the waterfront Malibu Beach Inn features private beach access for exclusive use of hotel guests. Book a stay in one of 47 well-appointed rooms, all of which come with a private balcony and face the water in some fashion. Outdoor, high-end shopping and dining destination, Malibu Country Mart, is within a mile, and the Malibu Pier is right next door, where fabulous breaks provide some of the best longboard surfing in Southern California. The high-end getaway isn't cheap, but that's the price you pay for your own slice of paradise on one of L.A.'s most coveted stretches of beach. 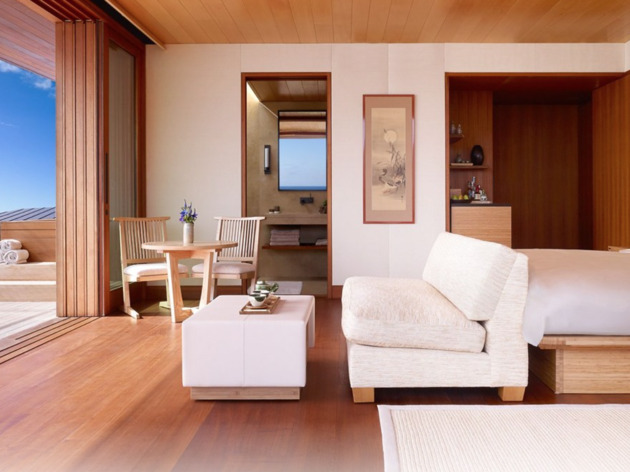 Inspired by the traditional Japanese ryokan (inn), the oceanfront Nobu Ryokan Malibu offers 16 intimate, luxurious rooms complete with teak soaking tubs, indoor and outdoor fireplaces, beachfront decks and stunning, minimalist design. 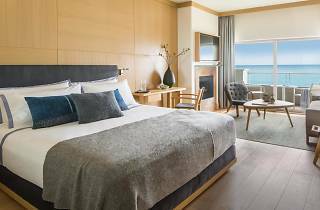 The tranquil retreat is located on the exclusive Carbon Beach—and for sushi fans, it's just steps away from high-end Japanese restaurant Nobu Malibu. But luxury amenities and well-appointed rooms come at a pretty price. There is a two-night minimum stay with rates starting at a jaw-dropping $2,000 per night. Hidden in the Santa Monica Mountains, the rustic yet elegant hotel rests on longtime, family-owned property, Calamigos Ranch. 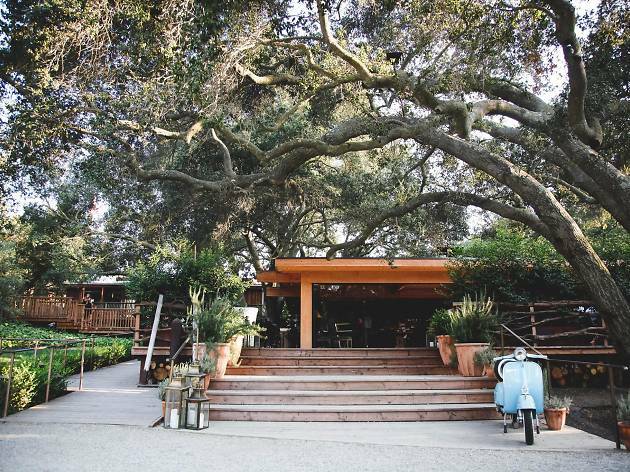 The dreamy, 200-acre location—often used as a prime California wedding destination—is home to 70 private cottages, bungalows and estate rooms. 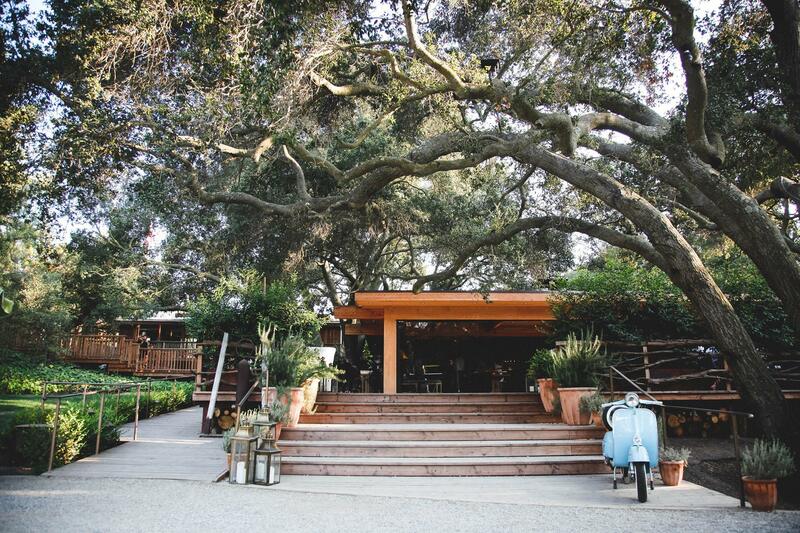 During your stay, head to the property's trendy outdoor restaurant, Malibu Cafe, go wine tasting in the vineyards or go horseback riding through the surrounding mountains. It has the makings of a dream vacation. 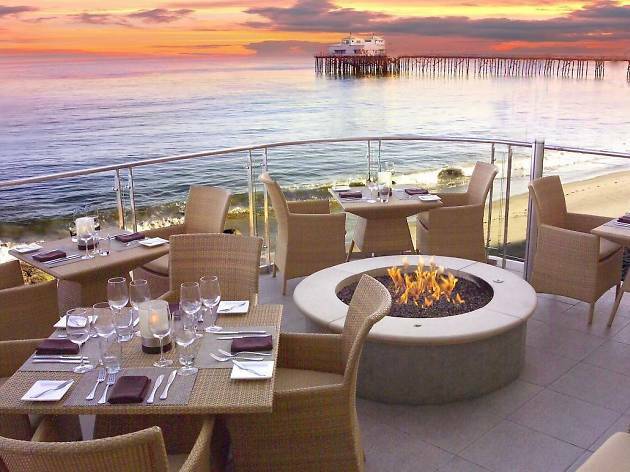 Perched atop a beachside bluff in the famed beach town, the rustic Malibu Country Inn boasts sweeping views of the Pacific Ocean and a prime location. Each of the 16 quaint rooms includes your standard fridge, coffee maker and TV, while spacious suites offer a fireplace, Jacuzzi bathtub and breathtaking ocean views. The charming inn also offers free wireless Internet and free self-parking for added convenience. 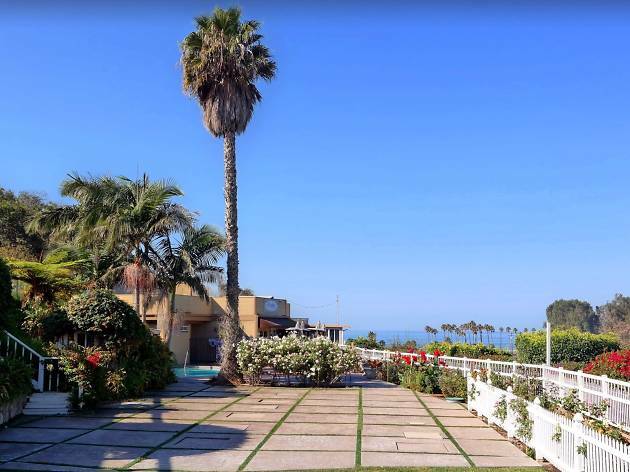 Dine at the on-site restaurant which overlooks the property’s gardens and Zuma Beach in the distance, take a dip in the heated pool, catch a wave at the beach or drive down to the nearby Malibu Country Mart to peruse the local boutiques and eateries. 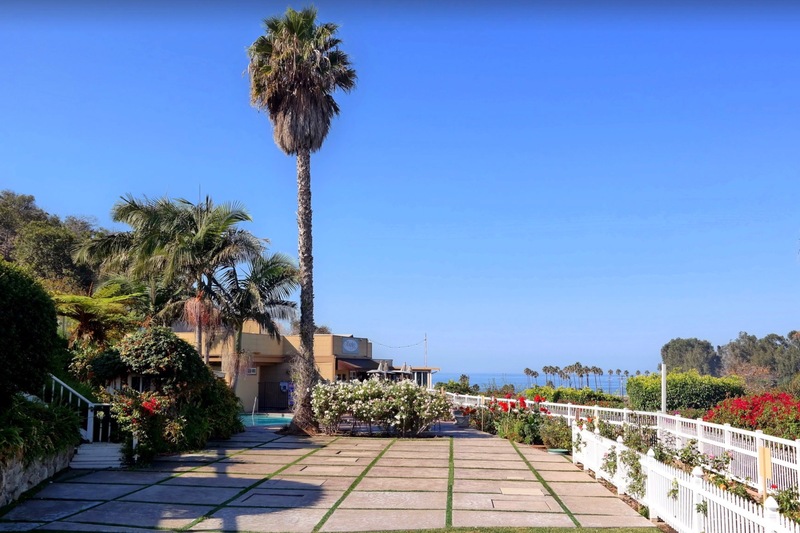 Sure, this no-frills hotel is located right on busy PCH—and across the street from the beach—but if you're looking for lodging that's just a short walk from the ocean, the M Malibu is a fine choice. 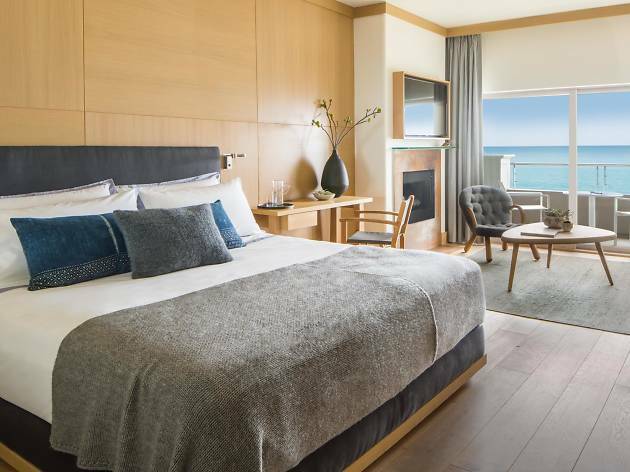 Located near plenty of restaurants, shops, beaches and dining options, the M Malibu (renovated in 2016) offers minimal, retro-style rooms with free Wi-Fi and parking, air conditioning, beach towels and balconies with partial ocean views. Please note, The Native Hotel is currently closed due to damages sustained from the Woolsey fires. The hotel is set to open in Spring 2019 — Time Out Editors, 2019. 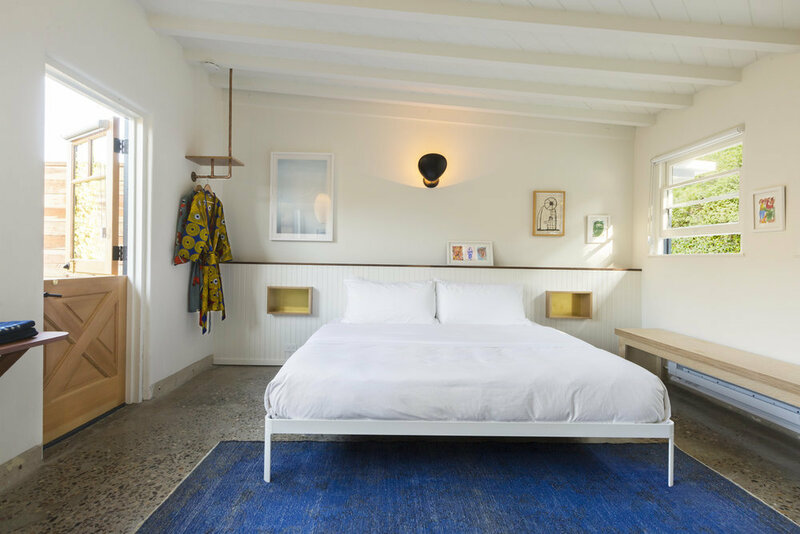 Previously known as the Malibu Riviera, the Native Hotel is a contemporary spot on the Pacific Coast Highway. Originally constructed in 1947, the rooms at the hotel have fresh, beachy decor and minimal (but curated) furnishings which provide a laid-back energy that is far removed from the busy road outside. 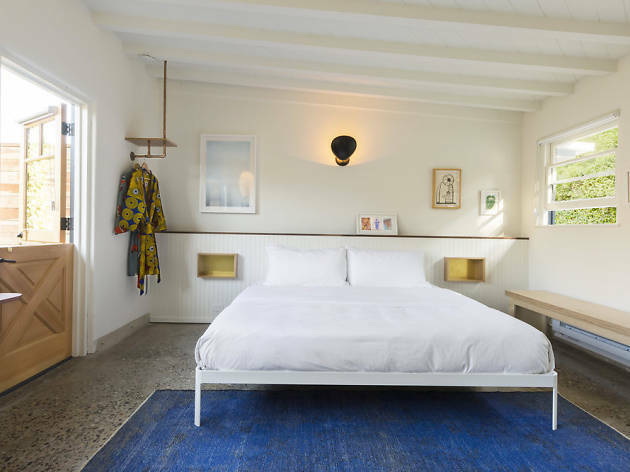 In fact, it’s a world away—the hotel has a surfer-esque, no-frills vibe and is much more affordable than other Malibu boutiques.